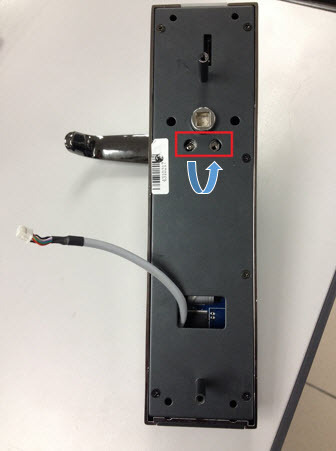 Here are some tips on how you change the position of your Keylock 7700 either from left to the right or right to the left). Change the handle position for the front side. Change the handle position for back side. Switch the screw to the opposite position. Have any questions or inquiries about FingerTec? Drop your input here. Get your FingerTec Badges here! The brand FingerTec was born in 2000, with a visionary objective to bringing the then high-tech fingerprint technology normally used by government sector into a technology that is viable, affordable and reachable by mass commercial market. Its first 5-year plan was dedicated to the R&D incubation, mainly targeted in improving the fingerprint matching algorithm, the product’s robustness and user-friendliness; in short to provide fundamentals for the brand to soar high when it was launched. Within those 5 years, FingerTec had won 3 international awards as recognitions for its technology advancement. Beginning with a vision, followed by simple yet viable plans and well executions, FingerTec has started a remarkable revolution, changing the unreachable technology to the state-of-the art “touchable” products much faster than its rivals, setting a new benchmark for the biometric industry.